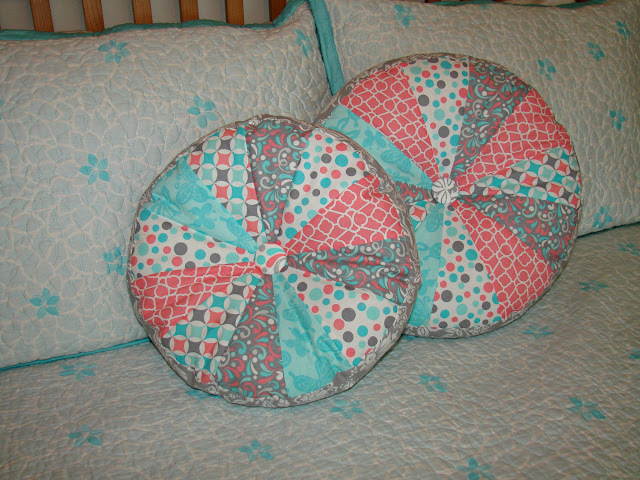 I think these are my favorite pillows yet! I made the buttons...yes I did!! Love the teal, salmon and grey! Oh and some for Lynn, a thank you to the perfect hostess! !